Yellowstone, Wyoming is a place unlike any other. The Grand Tetons are absolutely beautiful and no matter how many times you view it, the majestic sight continues to take your breath away. Whether passing through while vacationing or testing your endurance of living here like the locals, one thing is certain..this place is uniquely captivating. As if encapsulated in an unseen bubble, the North Land contains mysticism filled with raw beauty and pure adventure. 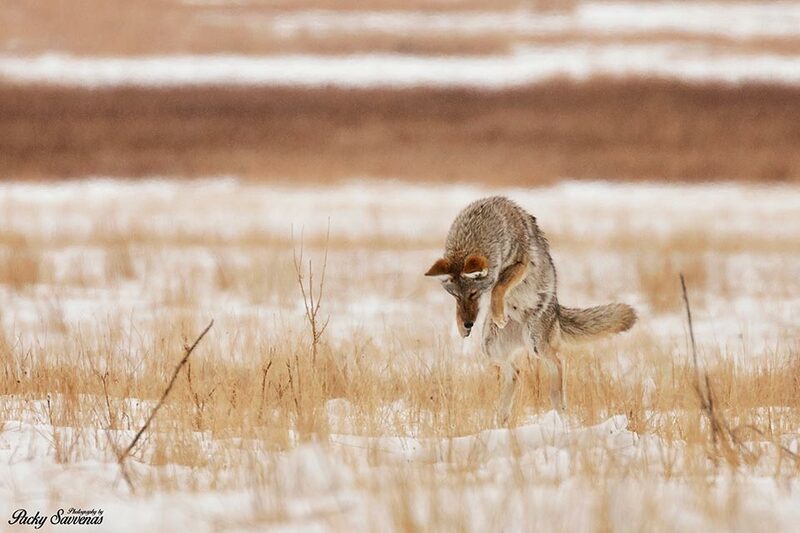 The wildlife that inhabits Yellowstone Country is stunning to say the least. I have witnessed sightings of animals that would set one’s mind to the depths of another land, or perhaps even another planet altogether. Some of my favorite animals reside here and with good reason. Their appearance and personalities are a mirror of the greatness this land holds. I must admit, I feel as though I have become family with these creatures. My passion has transcended into compassion for the spirit of these animals. I’ve always felt drawn to this place throughout my life and through the lens of my camera I hope to relay the message of why Yellowstone holds my heart and soul so dear. Pictured here are the uniquely beautiful and somewhat comical looking pronghorn antelope. Their speeds can shock you once they take off. Fun fact, the pronghorn antelope are the second fastest animal in the world next to the cheetah. Pronghorn antelope blend in exceptionally well with their surroundings and if you’re lucky enough to spot them, that’s usually when they take off. I found it a real treat that these two pronghorns took a moment to pose for the camera before heading off to their next adventure. 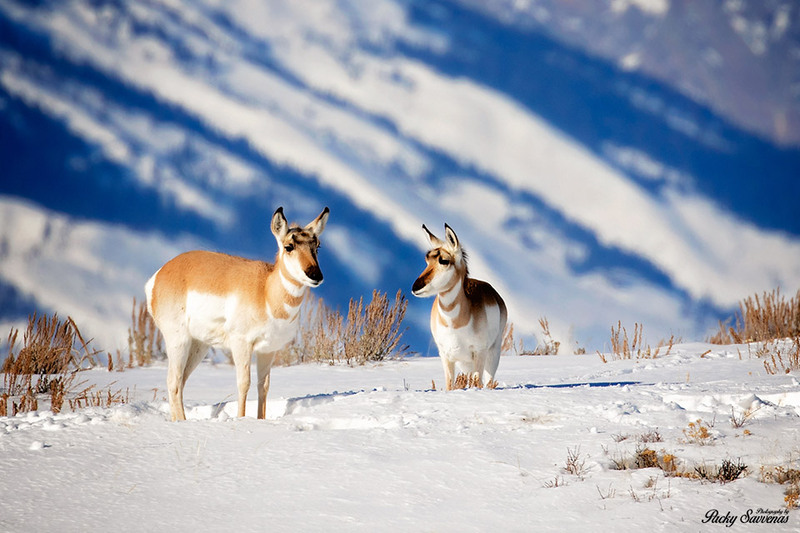 Pronghorn migrate to a winter range over a hundred miles south of Grand Tetons National Park and the Jackson Hole Valley. This is a federally protected migration route and is one of the longest known migrations in North America. What do pronghorn antelope do anyway? Maybe they play tag with the elk, or hide and seek with the foxes… who knows. I’ll tell you one thing though, a sighting of these animals will always have you wondering. After all, in a magical place like this, anything is possible. Check out me hanging with my pronghorn antelope buddies here….. my adventures in pronghorn antelope herding.